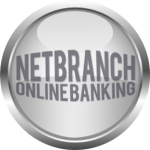 DO YOU CURRENTLY HAVE A CHECKING ACCOUNT AT ANOTHER FINANCIAL INSTITUTION? HOW MUCH IS IT COSTING YOU TO USE YOUR OWN MONEY? Simply put, a checking account at Strip Steel Community FCU is free . Sound too good to be true? Well it’s true. Maybe it’s time to make a change. By looking at your current account with that other financial institution, you may find out just how much a year it is costing you to use your own money. And maybe your account with that other financial institution doesn’t charge you any fees. How much money do you have to tie up to get that service? What is your minimum deposit requirement? A free checking account with Strip Steel Community FCU is just that. FREE! With no per check charges, no minimum balance and no monthly service charges, you’ll find great service for the best price of all: FREE We are committed to providing competitive financial services to our members. Plus if you have direct deposit your checks are free. Free Checks with direct deposit. ***There is now a $1.99 charge to add anything special to your checks. We have a variety of checks that you can choose from if you do not like the free ones. We will pay $5.00 once per year for your checks if you choose not to use the free checks.